Start your Geico Windshield Replacement Claim Today! 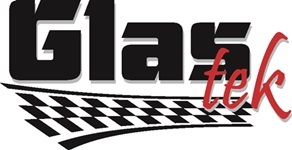 Glas Tek is a proud Geico windshield replacement and auto glass repair shop. In fact, we are on the APPROVED list for Geico windshield replacement and auto glass repairs. This means that we have already agreed to Geico’s contract pricing so that there will never be any out-of-pocket costs for you. In addition, Geico backs our nationwide lifetime warranty and stand behind our work. This should give policyholders the confidence that they have chosen an excellent Geico windshield replacement shop. Filing a Geico auto glass replacement claim online is EASY and only takes about 10-15 minutes of your time and in most cases can be scheduled the same day. Geico is one of the few insurance companies that handle their windshield replacement claims on their own. Most insurance companies utilize a third-party administrator to manage claims. With Geico, you will get a Geico representative directly that will be able to assist us in filing the claim fast and efficiently. Glas Tek is a “approved” Geico windshield replacement shop and accepts Geico’s stringent warranty and safety guidelines. Additionally, Glas Tek honors the contract pricing of Geico, which guarantees that no additional out-of-pocket payment will be made by the customer. Geico policyholders in Phoenix are now required to be on the phone to file a claim for auto glass repair or windshield replacement. Glas Tek can directly conference you to Geico so the process of filing the claim can be started. In order for Geico to verify your identity, they will ask you for your full name, policy#, address, and date of birth. Geico will also recommend that they call you on a separate phone line to obtain this information. After the claim has been filed, Glas Tek will be authorized to get the job done. After you have been connected to Gecio, their representative will tell you that for quality purposes, the call will be recorded or monitored. During the conference call, which is expected to last for 15 minutes or less, you will be asked a series of questions that are relevant to your claim. The main questions that will be asked are: when did the break happen, what is your policy #, and how large is the break on your windshield. See below for a list of all the questions that are asked. Also, Geico is one of the few insurance companies that perform random inspections. Therefore, don’t be surprised if they want to send a representative to your home or business to evaluate the damage before the windshield can be replaced. This inspection, will delay your appointment time until it can be completed and authorization given to us to move forward. However, Geico is pretty fast at getting your inspection on schedule. Geico will waive any comprehensive deductible for a windshield repair. So, if you carry a $500 deductible on your comprehensive policy Geico will waive that deductible so that there will no cost to you for the repair. In addition, by Arizona law, your insurance premiums will not increase due to filing a no fault Geico windshield repair claim. Most windshields can be repaired if the break is smaller than the size of a credit card. 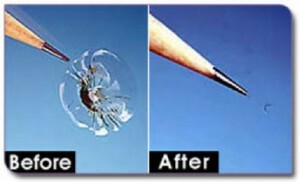 However, a windshield chip repair is not a cosmetic fix and will not make the break disappear. There are several factors to the cosmetic success of a windshield repair including, the size of break, location of break, type of break, and how long the break has been on the windshield. Therefore, no two windshield repairs will come out alike. A successful windshield repair will keep the break from spreading from point of impact and will keep the structural integrity of your windshield. Visit our windshield repair FAQ’s or windshield chip repair process page for additional information about Geico windshield repairs. 1. Can you please provide me with your name? 2. 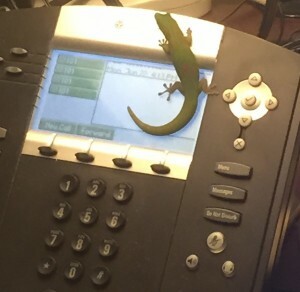 Can you please provide me with your Geico Policy number? 3. What date did the damage take place? (A date cannot be picked by Geico and as such, you will have to supply them with a date of the damage, even if you cannot remember the exact date. Make the date as close as possible to the time of the damage and ensure that your vehicle was covered on that date. 4. Besides the glass, was there any other loss or damage done to the vehicle? 5. You will be informed that you will be asked to provide some personal information for verification purposes. The representative will ask whether it is alright to use the current line or if you prefer to use another phone. 6. Can you provide me with your date of birth? 7. Can you provide me with the zip code that is on your policy? 8. What are the year, model and make of your car? (Example: 2012 Ford Explorer). 9. Who was driving at the time of the accident? 10. Can you please name the state in which the damage occurred? 11. What kind of damage happened? 12. Can you please describe the damage? 13. Random auto glass inspections are carried out by Geico and you may be subjected to an inspection before the work is carried out. (When this is required, an adjuster from Geico will visit your home or workplace to inspect the damage. After which, we will be given the go ahead to replace or repair the windshield. This could cause a delay in your claim as you will have to wait until the adjuster can do the inspection). 14. Your glass coverage will be verified by the Geico representative. 15. May I please have an email address to send relevant information regarding your claim? 16. Geico will verify that Glas Tek will be doing the work and inform you that we are one of the approved vendors. 17. Glas Tek will be given a referral number to bill Geico for the service provided. 18. Your appointment will then be set up by Glas Tek. Geico Insurance stands proudly among the leading national brands. Their services are available to individuals who live just about anywhere in the United States. Most of Geico’s policyholders choose car coverage which typically covers auto glass damage. Geico is renowned for its impeccable customer service as well as the ease with which the company facilitates the filing of claims. The ability to get questions answered by Geico representatives make it much easier to address problems you might be having with your vehicle. Geico is among the insurance companies that have the highest level of television advertisement. However, customers still rank the company 13 out of 25. A rather low profile was kept by the company until it gained more exposure in that past 10 to 15 years. The company’s helpful agents and low prices have helped it to gain ground on a number of the more established insurance companies. Typically, the majority of individuals who uses Geico Insurance are attracted to their relatively low rates and provision of comprehensive coverage. However, the ability of the company to provide a multitude of vehicle with insurance coverage is currently one of its big selling points. In addition, as it relates to auto glass replacement, Geico Insurance is particularly useful. Policyholders are required to pay a deductible; however, there are few limits on which service provider can carry out the repairs. This provides customers with the opportunity to have their windows repaired by a local service provider. This is quite useful as it also eliminates the hassle of choosing a service provider that has been pre-approved by Geico. One of the great features of being covered by Geico Insurance is the fact that the company recommends that its policyholders get in touch with the company to have the auto glass replaced or repaired as soon as the accident happens. This means paying simple maintenance costs and getting the job done as quickly as possible. This is particularly useful in cases where the damage done to the windshield can be repaired. Getting the windshield fixed right away will save both the company and the customer money. Having the damage contained as soon as possible will make sure that the crack does worsen and therefore, it will eliminate the need to pay the full replacement cost.